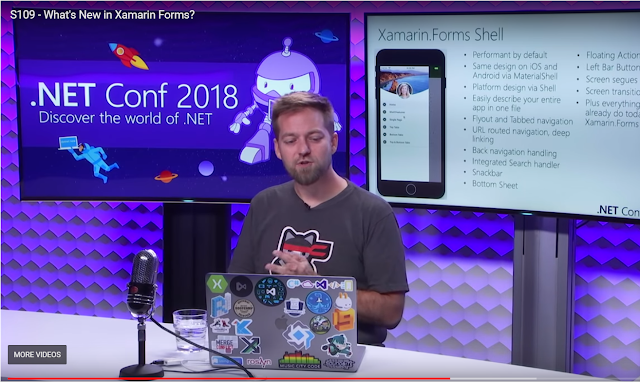 Xamarin Forms Made Easy: Is Xamarin.Forms Shell the answer to Google's Flutter? Thanks Winston, I actually haven't used the previewer yet, I am about to test out XAML live reloader. Do you know if both the Xamarin Previewer & Xamarin reloader are new by products of XF 3.0 & if so, what the key differences are? Xamarin Live Player v.s. Xamarin Previewer, similar for both viewing your design. with Xamarin Live Player you can view and interect with your design similar to Flutter's Hot Reload. Also, it is not an easy task to convert an existing app to use Xamarin Shell correct? Xamarin shell should be adopted in early stages of development? Shell is totally a new paradigm, It will solved most problem we have on the current version of XF like customizing Navigation etc, you will have to resort on custom renderers which should not be the case when you develop Cross-Platform right?, it will give you an edge when you learn it at an early stage, but it is not advisable for production use. "Hot Reload" is like "Live XAML" for Xamarin.Forms (https://www.livexaml.com) but is pay (license monthly or permanent). It have excellent support. Thanks for continually sharing such useful, detailed info. Informative blog! I am truly awed by this blog post! Very clear explanation about the Xamarin.Forms. I agree with all points.